The University of Southampton has appointed Winnie Eley as its new Vice-President (International). She will take up the post on 1 October, 2018. An experienced senior manager with a truly global outlook, Winnie Eley has spent the last two decades in advancing education participation, devising international and institutional strategy, and refining associated whole-institution approach and associated systems in strategy execution. She arrives in Southampton after five years as Deputy Vice-Chancellor (International and Advancement) at The University of Newcastle in Australia. Winnie Eley has volunteered, studied, lived and worked across continents from Africa, Asia, Europe, North America, Oceania to the United Kingdom. She has also worked at the British Council in Nigeria and Hong Kong. 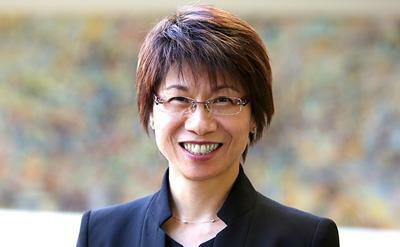 At The University of Newcastle, she is a member of the Executive Committee taking strategic leadership of the University's global engagement and representation; institutional partnerships and reputation; alumni relations and philanthropy; sponsorship and student mobility. She also contributes to the achievement of the University's vision 2025, NeW Futures Strategic Plan (2016-2025) and NeW Strategic Directions (2013-2015). An appointed auditor for the Quality Assurance Committee (2014-2019) of University Grants Committee in Hong Kong, Winnie Eley is also a member of the International Academic Advisory Committee for both QS-APPLE and QS-MAPLE. At the University of Nottingham, she earned a first degree in education and MBA, and had postgraduate research experience through study in MPhil. She is pursuing a DBA in Higher Education management at the University of Bath.